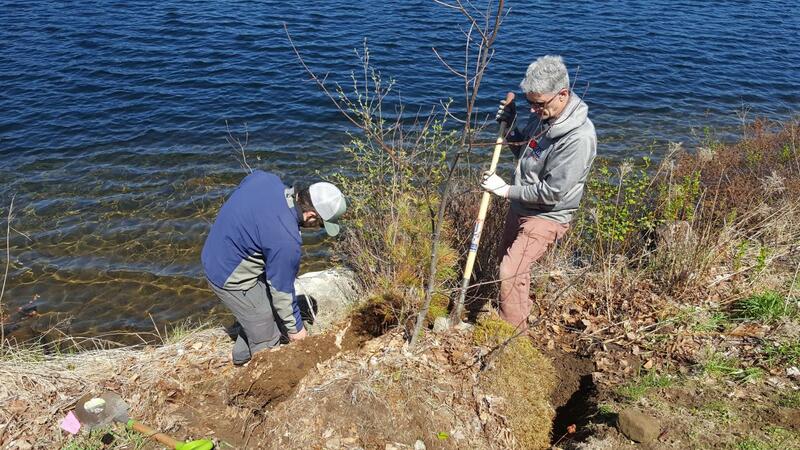 On Monday, May 21st, 2018, AsRA and the Mirror Lake Watershed Association (MLWA) planted trees and shrubs along the East Shore of Mirror Lake. This planting was made possible by an Earth Day Initiative Grant from Humanities New York. MLWA volunteers planted red osier dogwood on the lower parts of the banks and various berry producing shrubs on the middle and upper bank. Some recently transplanted oak trees had to be put back into place. Grey birch were then planted around the oaks to provide shade and additional bank stability. 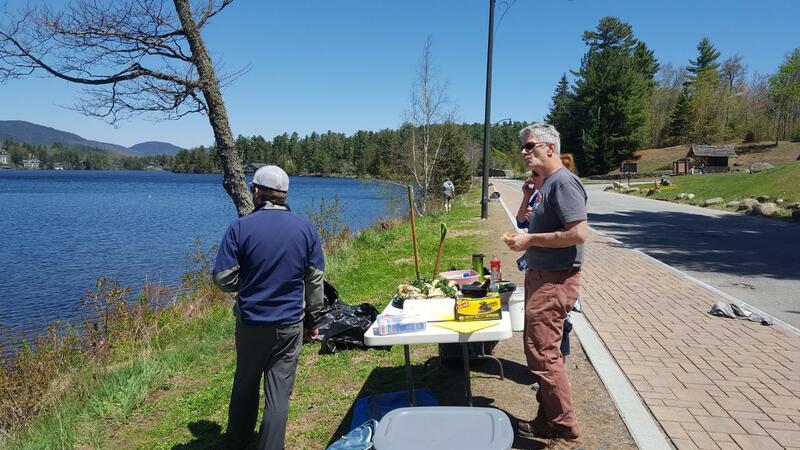 AsRA Science and Stewardship Director, Dr. Brendan Wiltse, gave an update about the road salt impacts on Mirror Lake during lunch. On Thursday, May 24th, Northwood School L.E.A.P. students planted trees and shrubs at an AsRA natural stream restoration site on the West Branch of the Ausable River. The students planted native trees and shrubs such as red osier dogwood, black willow, northern white cedar, and buttonbush. The lower part of the bank is completely constructed and the students found it a little difficult digging holes. After the planting, AsRA River Steward Nicole explained restoration project and answered the student's questions about natural stream restoration. 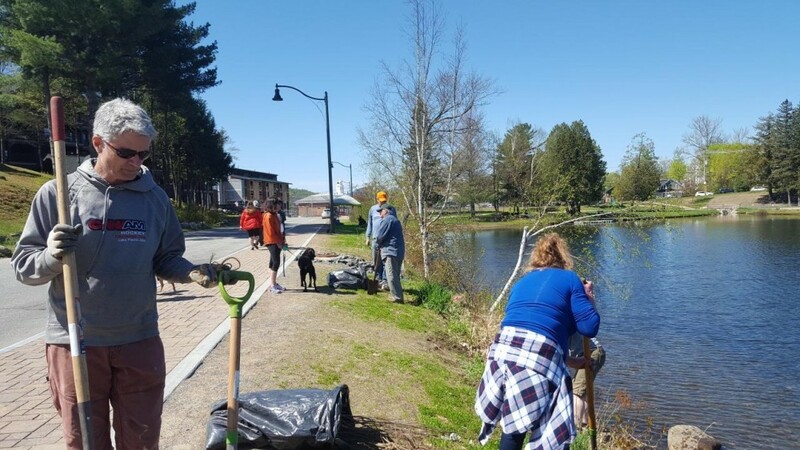 In total, volunteers planted 300 trees and shrubs in critical riparian areas on Mirror Lake and the Ausable River. Keep an eye on our events page for future community events. Thank you to all the volunteers who participated this spring!